Add some SWAG to your LinkedIn Profile in 5 Easy Steps. LinkedIn is THE most popular social media site used by recruiters in all professions. That’s right. A recent survey from “Jobvite found that 93 percent of job recruiters tap into LinkedIn to find qualified candidates,” according to CNET. 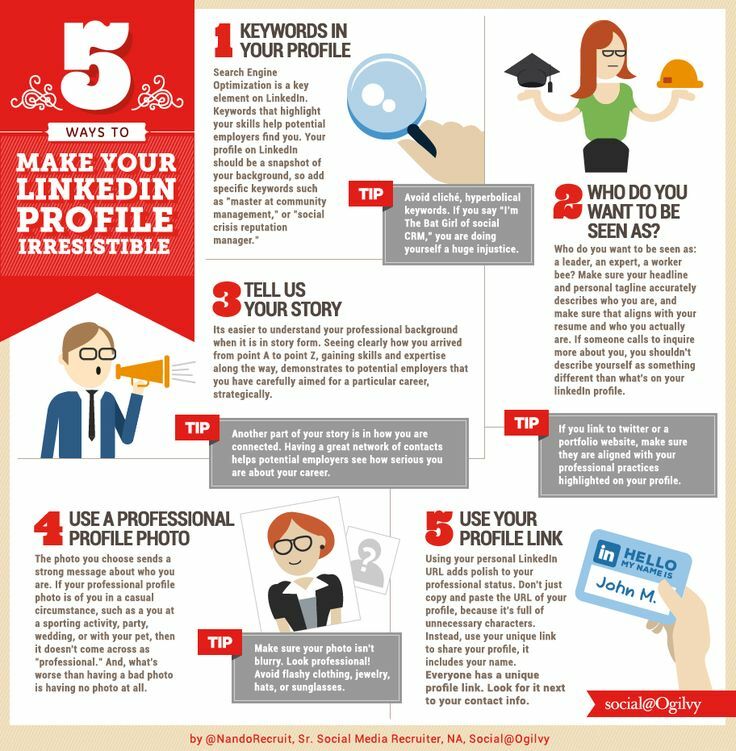 Make sure you are making the most of your profile page. You want to be Irresistible…don’t you? Of course you do! So, start with these 5 simple steps to getting found! Categories: College, Education, News, Professional Development, Social Media, Teaching, Uncategorized | Tags: careers, college, college ready, Finance, happy teachers, Infographic, irresistible, job search, jobs, LinkedIn, recruitment, Social media, social media infographic, students, swag, teaching | Permalink. Preparing Students for 21st century Success. These are the “skills necessary for students to be able to learn effectively and live productively in our increasingly digital world,” according to learning.com. We all need to help prepare students to succeed in college and/or career. Categories: College, Education, Professional Development, Reading, Social Media, Teaching, Uncategorized, Writing | Tags: 21st century skills, classroom, college, college ad, counseling, ed tech, education, education infographic, higher ed, Infographic, literacy, school counselors, student success, students, success | Permalink. Encourage, Influence, Guide, Inspire…and so much more. Categories: College, Education, Happiness, Professional Development, Quotes, Teaching, Uncategorized | Tags: classroom, education, inspire, love, mentor, namaste, praise, teach, teachers | Permalink. What are you doing in your classroom to focus more on student-led and student-centered learning? Trust. Trust your students to be capable of driving their education. It can be challenging, and even messy, to let go but when we do, great things are bound to happen. Trust yourself and your own background and experience as an educator, to be able to navigate this new uncharted territory. Categories: College, Education, Professional Development, Teaching, Uncategorized | Tags: cartoons, classroom, college, Common Core, edtech, education, k-12, lumt, students, teaching | Permalink. We spend a lot of time at the very first class establishing connections, getting to know each other, and laying the foundation for our Learning Community. 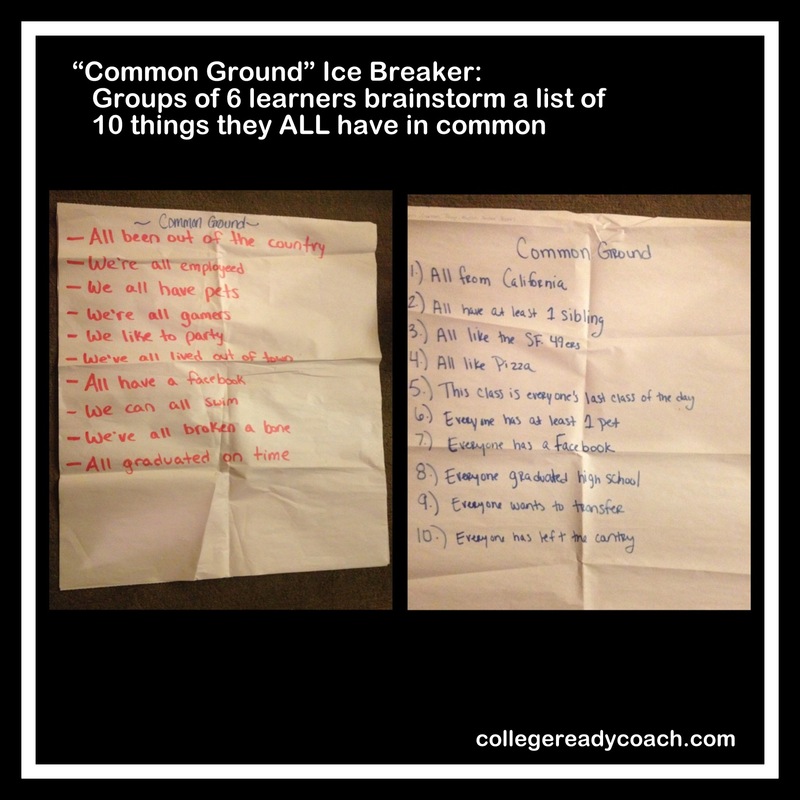 One active learning exercise we do is called Common Ground. Students get into groups of 6 and come up with a list of 10 things they all have in common. It is a great way to get students interacting from the very first class! Categories: College, Education, Professional Development, Teaching, Uncategorized, Writing | Tags: active learning, brain based learning, classroom, college, collegeready, Common Core, education, English, high heels, ice breaker, lesson plan, metacogntion, Reading, students, success, teaching, writing | Permalink.